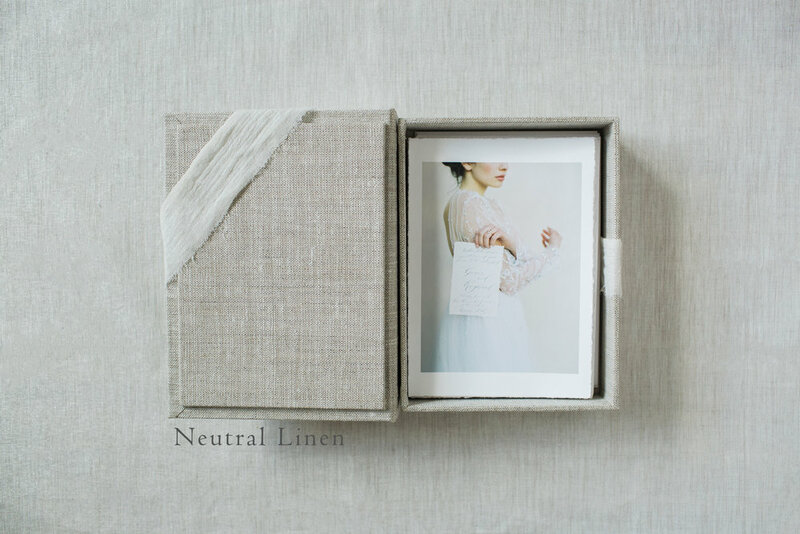 Our fine art print boxes are hand crafted with elegant swatches of linen fabric and paired with raw-edged gauze ribbon. Elevate your proof sets with this beautiful keepsake box. 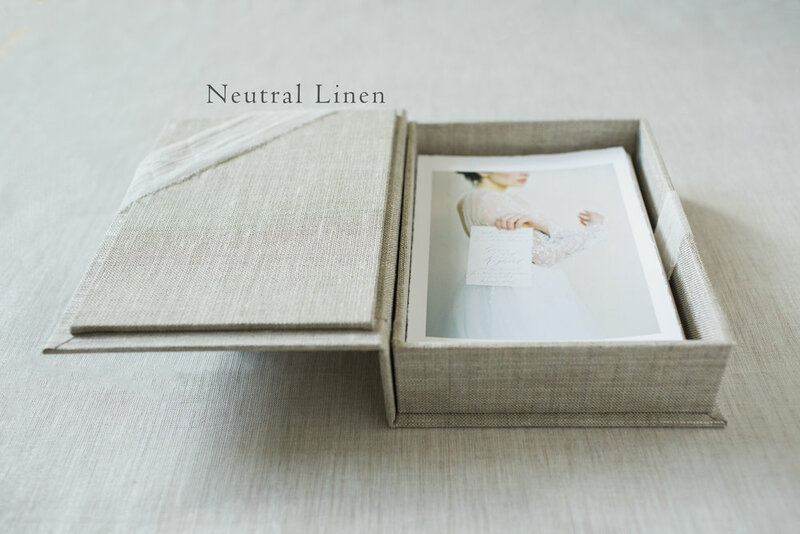 Boxes are 1.5-2" in depth and can hold up to 50 cotton rag prints (310gsm) or approximately 100 plain photo paper proofs.